Edited to add direct links. Hello! Welcome to Day 2 of JustRite Stampers June stamp previews! 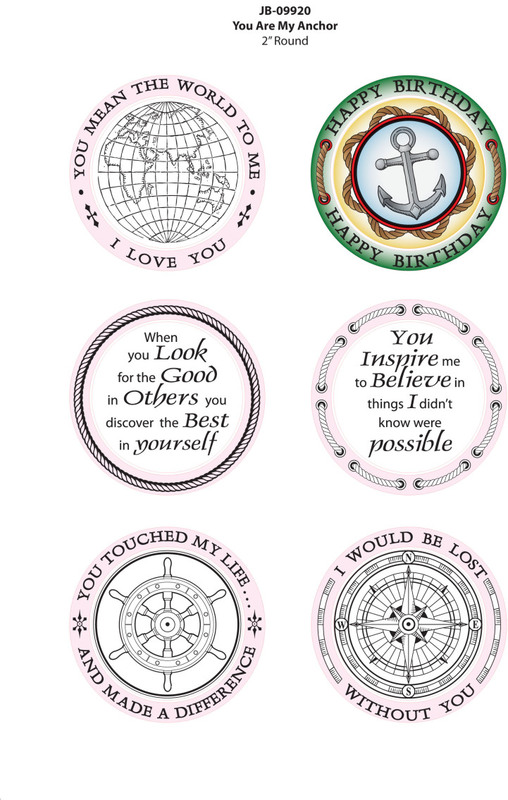 Today we are introducing a new ribbed set which is a must-have for all of those masculine cards and projects.. JB-09920 You are My Anchor. I always struggle making masculine cards as I always like to add lace, ribbon or frilly things to my cards! This time, I managed to restrain myself.. :) I colored my image with Copic markers and stamped and colored a second anchor, punched it and popped it on top of the first layer. Accessories: Twine (May Arts), Dew Drops (Robin's Nest), Foam tape, Thread, Sewing machine. 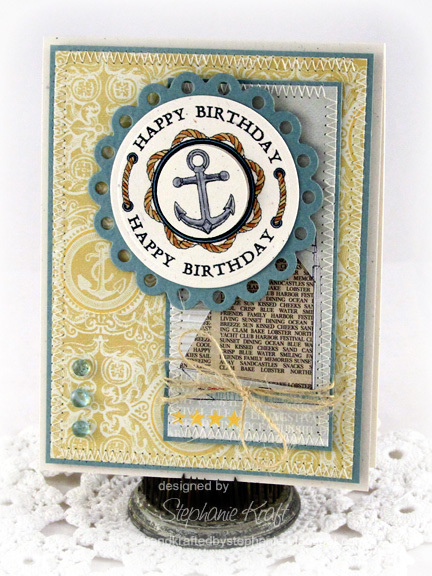 A naval theme is perfect for a masculine card. Especially with an anchor as gorgeous as this! What a great masculine card Stephanie! Love the colors you chose and that patterned paper is the PERFECT match! Your stitching looks awesome and love the twine bow! Fantastic guy card, Steph! 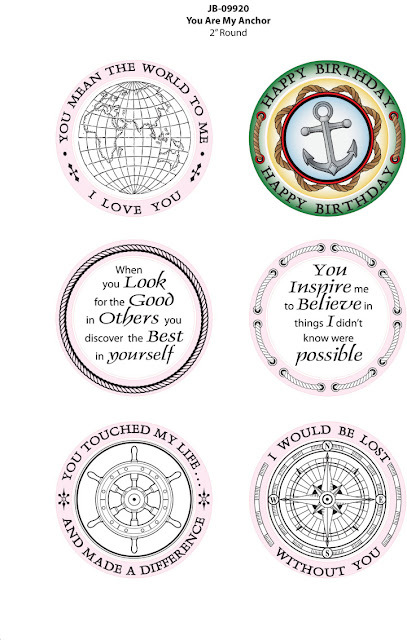 I need to get this set for my FIL who has a boat!! This is wonderful!! Perfect masculine card! What a great card! So many great details. Stunning Stephanie! Love the colours and the perfect BG paper - fantastic card!!! Love that set. The design is wonderful and a great masculine card.